From their teal-green leaf logo, to their responsibly-sourced, rustic wooden ring boxes, Brilliant Earth have tried to capture an essence of elegant, social consciousness that fits comfortably with the emerging, millennial buyer. Their founders believe that their approach is a much-needed breath of fresh air in the world of diamond jewelry, casting an ethical illumination over an industry with a dark history. But are their claims substantiated, and are their diamonds worth the money? After trying and failing to find their own ethically produced engagement ring, Stanford alumni Beth Gerstein and Eric Grossberg identified an apparent gap in the market for engagement and bridal jewelry with social conscience. They founded Brilliant Earth in 2005 and the website launched in 2006. Brilliant Earth began by using Canadian Mines as their primary source for their ethical diamonds. After intense assessment, the company has since extended this to Namibia and Botswana after concluding that their diamonds met the company’s ethical standards. Brilliant Earth also offer ‘vintage rings’ and ‘lab-grown diamonds’, however in the interest of comparison to other vendors, for this article I will only be looking at the company’s natural, sourced diamonds. You cannot argue with Brilliant Earth’s ethical, top-down design. Their wooden ring boxes are responsibly sourced, as is their shipping packaging, and their jewelry cleaner is non-toxic and biodegradable. Their packaging was re-designed in 2018 to further reduce their use of paper packaging, showing a continued commitment to their company ethos. They donate 5% of their net-profits to social responsibility programmes including mobile schools and environmental projects. While their approach is admirable, it should not be viewed by buyers as a unique selling point. Brilliant Earth have centred their business model around ethical diamonds, something that all other respected vendors must also adhere to. The introduction of the Kimberly Process has eradicated conflict diamonds in the west and allowed buyers peace of mind when purchasing a diamond from a reputable vendor. Their promise of ‘Beyond Conflict Free’ is a poorly conceived marketing ploy. Conflict free means conflict free, and is the standard that all vendors must adhere to. Furthermore, Brilliant Earth are by no means the only diamond company ‘giving back’; Whiteflash head up several social responsibility programmes and are dedicated to making a positive impact in the diamond world. I commend Brilliant Earth for their ethical approach, but feel that their emphasis upon this and this alone not only neglects other details (such as diamond data, which I will look at later) but also suggests it is something entirely unique. I believe this inhibits buyers; conflict diamonds are not sold by reputable vendors in the West, but a look at Brilliant Earth’s website seems to imply otherwise. This only serves to scare misinformed buyers. In short, their business model is positive but not unique. 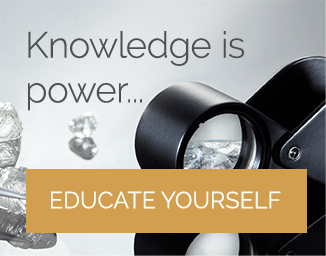 Better quality diamonds with an equally ethical approach can be found on both Whiteflash and Blue Nile. Brilliant Earth have shown a marked improvement in the past year when it comes to their imaging technology. Where previously Brilliant Earth relied on a stock sample image for their diamonds, you can now see a 360 ‘Interactive Real Diamond Video’ for many of their stones. However, it is difficult for buyers to make a detailed assessment of Brilliant Earth diamonds, as there is a distinct lack of technical data provided. Leading vendors such as Whiteflash offer ASET Maps, Hearts and Arrows viewers and Idealscope imaging all diamonds and James Allen will also provide on many diamonds; these diagnostic reports indicate the light performance properties of a diamond, making it easier for buyers to make an informed choice. Without these details, it is impossible to accurately assess how well Brilliant Earth diamonds stand up against their competitors. This brings us to the price. 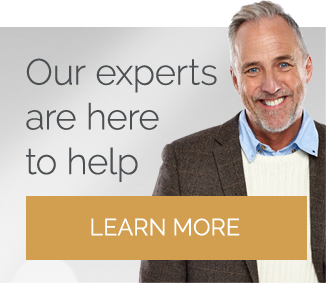 I have made an overall comparison of Brilliant Earth against several competitors, and will be using a diamond from Blue Nile to demonstrate this comparison for you. This is a 1.01ct Round Brilliant H-S11 from Brilliant Earth. It is GIA certified and has a Very Good cut grading and medium florescence. It is $5,480. 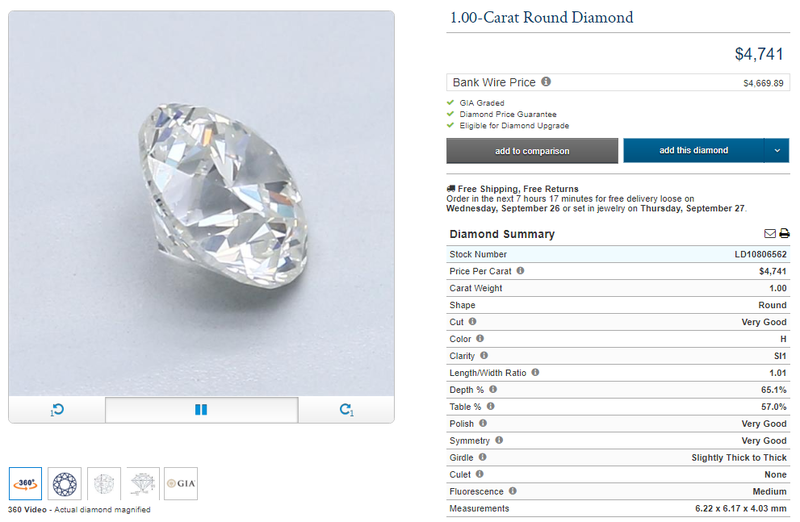 This is a 1.00ct Round Brilliant H-SI1 From Blue Nile. It is GIA certified and has a Very Good cut grading and medium florescence. It is $4,471. That is a difference of $1,009 for two diamonds that read almost identical on a certificate. This is not an isolated example. From all the samples I took, Brilliant Earth always came in anywhere from $400 to $1,500 more expensive than the Blue Nile equivalent. 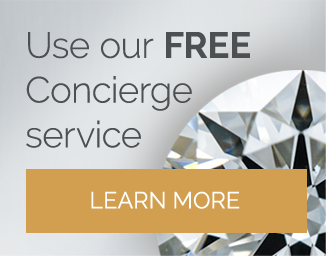 This is a huge premium to be paying for diamonds and that is even before considering the lack of diagnostic detail known before purchase. 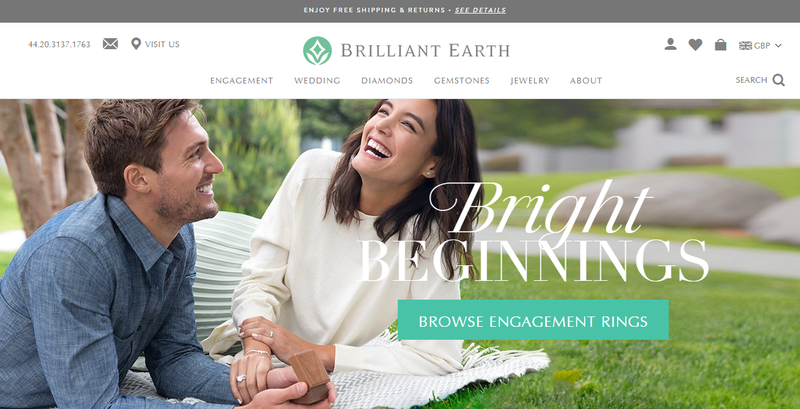 The clever marketing spin of Brilliant Earth implies that this premium is a result of their ethical and eco-friendly approach to diamonds, however as we know their diamonds are as ethical and conflict free as their competitors and while the eco-friendly approach to packaging is admirable, it cannot justify a $1,000 price difference. The purpose of this article is to compare Brilliant Earth diamonds to their competitors; although I will not be giving a detailed analysis of the quality of their lab-grown synthetic diamonds, as these diamonds are a key part of the Brilliant Earth business model, it is important that I also consider their role in the overall integrity of the company and their ethos. "Lab created diamonds are sustainable diamonds; they are ethically grown with minimal environmental impact." "Lab diamonds have the same physical, chemical, and optical properties as mined diamonds." Synthetic diamonds certainly have their place within the diamond industry, however again Brilliant Earth use a benefit to cast a disparaging light on the world of natural diamonds. They assure us of ‘Beyond Conflict-Free’ natural diamonds, and mining procedures with minimal environmental impact therefore a promise of an eco-friendly synthetic cannot be considered a benefit over a natural diamond. Synthetic diamonds also raise different issues regarding the humanitarian aspects of the diamond world. The work of the Diamond Development Initiative and other social responsibility programmes has opened up millions of jobs within the mining industry. A large push towards synthetics jeopardises the livelihoods of those who are making a living within the world of ethically mined natural diamonds. Brilliant Earth also talk about the value of synthetic diamonds. While it can certainly be argued that synthetics come in cheaper than a natural diamond, they do not hold their value in the same way. A lab grown synthetic diamond cannot be seen as an investment as their value has fallen rapidly and continues to drop. I must emphasize again that a cheap diamond doesn’t exist; this is because they are rare, natural wonders that take millions of years to form within the earth. Just as we should be cautious of ‘too good to be true’ deals on natural diamonds, so too should we be cautious of synthetics as an exact replacement for diamonds. I would encourage buyers to place them in a separate bracket altogether, and make a decision based on whether a natural diamond or a synthetic diamonds will best suit your requirements, as oppose to assuming the two are interchangeable. The Brilliant Earth website is sleek and easy to use with their ‘Beyond Conflict Free’ and eco-friendly goals seamlessly weaved throughout the pages. The functionality is good, and while there is nothing particularly ‘stand-out’ about the website, it does provide a wealth of information regarding both their diamonds and the Brilliant Earth mission. The shopping experience is also positive, with secure payment and international shipping offered free to the USA, Canada and Australia. We all want to love Brilliant Earth. Everything about their company ethos is appealing and well executed. Their donation of 5% of their net profits must be acknowledged and hugely respected. But this is where it ends. Sleek marketing tricks aside, Brilliant Earth cannot truly claim to offer anything unique or ‘beyond’ conflict free in the way of their diamonds. The lack of technical or advanced imaging makes it difficult to assess the performance of their diamonds and savvy online diamond shoppers are likely to overlook this company until this aspect improves. They have a great selection of other gemstones (Moissanite, Aquamarine, Morganite etc) but as their main focus is diamonds, to give ‘extra points’ for diamond alternatives would be unfair. If you are looking for an alternative to a diamond, consider Brilliant Earth. If you are looking for an ethically sourced, excellent quality diamond from a company with just as much commitment to social initiative programs, choose James Allen, Whiteflash or Blue Nile.